Restrictions on the major websites is not a new thing, in fact, it’s becoming a trend in the online world. In this article, I will discuss Hotspot Shield alternative services and similar apps. Several countries often ban or block access to many sites because of some critical issues such as political, religious, pornographic and geographical, etc. Access to major sites such as Youtube (World’s biggest video sharing hub) and Facebook is also restricted in many countries. So, to unlock these websites, you have to change your IP address which can be done using a VPN service or proxy. However, using a VPN client is much secure compared to proxies regarding security, encryption, and data leakage. In the past, Youtube was banned in many countries such as Germany, Indonesia, Syria, Sudan, Iran, Afghanistan, Brazil, Armenia, Morocco, Pakistan, Russia, Bangladesh, China, Libya, Malaysia, Thailand, and many others. Anyhow, In this article I will share some of the top alternatives of Hotspot Shield not about Youtube 🙂 Hotspot Shield (HSS) is very popular for accessing banned or blocked websites. It’s one of the easiest to use, popular, and freemium software available for all the popular devices and operating systems to help you browse any web page censored by the government or ISP. So, do you know the reason why HSS is so popular? The answer is simple because “They offer fabulous browsing speed and features” and also, this application did not significantly slow down your internet speed. But in some cases, you might find it useless or can’t use this app. So, to come up with that condition, you can use some alternatives to Hotspot Shield. If you ever searched the term “Hotspot Shield alternative” you will get hundreds of results such as VPN’s, proxies, and softwares, but each service doesn’t work the same way or smoothly. It is noticed that when we use (especially free) VPN and proxy, internet connection’s speed slowdowns dramatically. But don’t worry, I am going to show you similar apps like Hotspot Shield which can be used for accessing blocked websites. These alternatives also give you a high speed browsing experience. Instead of relying on free VPN softwares, I insist you should use a paid service to enjoy high encryption, seamless speeds, and bullet-proof protection while surfing the Internet. NordVPN is a premium VPN service featured on BBC, theGuardian, Wired, and BuzzFeed, etc. due to outstanding performance and robust security measures. Their military-grade encryption and two-layer protection help you browse any blocked website or service without revealing your identity with ultimate speed across the world. They don’t create logs of your online activities and has a strict zero log policy. With multilayer encryption, user’s connection masked with two separate IPs, so it makes tracking impossible. Currently, they have tons of servers located in more than 60 countries to choose from making it the most versatile and lightning fast VPN in the paid category. Where most of the providers especially free drastically reduce internet speed, you won’t face this issue with this provider. Killswitch, Anti-DDoS, DNS leak protection, P2P, and unlimited bandwidth are default perks for all. The best part is their prices are insanely cheaper for annual plans, allow 6 devices, and come with 30 days money back guarantee. If you’re looking for a paid VPN like Hotspot Shield then choosing NordVPN would be the best option. IPVanish is one of the best premium vpn services and offers you 7-day money back guarantee to help you check whether it’s worth using or not. I have used it for months and never seen any slow speed issue. That is the major benefit of using a paid service. As mentioned above, free providers usually drop the internet speed significantly. But it doesn’t happen with IPVanish. Just give it a try, you’ll fall in love. It allows the virtual access through 1000+ servers located in 60+ countries with 40,000 shared IPs. There is no data limit restriction so you can browse unlimited stuff. They use 256-bit AES encryptions to secure your internet connection. When it comes to paid Hotspot Shield alternatives, I can’t stop myself to recommend IPVanish. Some companies usually keep traffic log, but IPVanish doesn’t do that, So you get one hundred percent privacy. Like many vpn providers, they don’t restrict torrents downloading. You can download countless torrents anonymously without any drop in speed. IPVanish allows 5 simultaneous connections which make it possible to use on multiple devices. Its software client is available for all the major platforms such as Windows, Mac, iOS, Android, Ubuntu, ChromeBook, and Routers. 24/7 dedicated support is also there to help you fix any problem. You can buy IPVanish using numerous payment gateways like Paypal, MasterCard, Visa, Discover, BitCoin, Delta, American Express, and many others. You can use this IPVanish Discount Coupon to get up to 46% off and save some bucks. CyberGhost VPN is the best and free alternative as well as a great vpn for PC and all popular devices. It’s quite a good app like Hotspot Shield to access restricted websites and geo-blocked contents. This application is available for all the major platforms like Windows, Mac, iPhone, and Android OS. You can surf the internet with Cyberghost VPN safely, anonymously, faster speed, hides IP address, can protect your private data and more. It offers virtual access via 60+ countries using 1800+ servers with 256-bit AES encryption. However, free subscribers are limited to few servers whereas paid users get unlimited access. It’s the right choice for free users as well to protect their online privacy. Their PRO packages are also reasonable, impressive and highly affordable. As a PRO user, you can select any country from where you want to surf the internet anonymously. You can buy CyberGhost Premium services via Paypal, Wire Transfer, BitCoin, and Credit cards. TunnelBear has user-friendly software UI, East to use VPN program and a fastest but cheap VPN service, and it is also a great Cyberghost alternative. But bandwidth limit is 500MB/month for free users; you can avail an extra 1 GB volume by tweeting on Twitter. They also have “no log” policy in place to ensure maximum user protection. Auto closest tunnel and Vigilant Mode are the most noteworthy features provided by the company. Vigilant Mode blocks the incoming and outgoing traffic during connectivity issues to shields against hackers, data leak, and malware. On the other, with Closest Tunnel feature, you can connect with a nearest available server for ultimate browsing and streaming speed. Its software client is the simplest one and comes with a user friendly interface. You can boost your bandwidth by purchasing paid packages. TunnelBear offers unlimited bandwidth at the price of $4.17/month for “Grizzly” and $9.99/month for “Giant” plan. Right now, they are running 58% promotion on “Grizzly” plan so grab the deal as soon as possible before it expires. You can buy premium plan via Visa Cards, Bitcoins, American Express, Master Card, and Network Discover. TunnelBear software is available for Windows, Mac, iPhone, iPad and also in Android. HideMyAss is another great VPN provider that can be used as a Hotspot Shield alternative if you aren’t able to use HSS. They also offer free web proxy but to use their software client you have to buy a paid plan. You can use HideMyAss on PC, MAC, tablets, and Smartphones. It offers several services to consumers like Pro VPN, web proxy, IP port proxies, anonymous email, privacy softwares and files uploading, etc. They have more than 930 VPN servers in 350+ locations across 190+ countries. With all of these numbers, you have options to surf the internet through more than 1.2 million IP addresses. Premium packages of HMA are a little bit costly, $11.99/month to $71.88/year. They accept payments through Visa, MasterCard, American Express, JCB, Discover, Paypal, and UnionPay, etc. I have also shared some of the best Hidemyass alternatives here in case you don’t like them. It is another excellent free Hotspot Shield similar software like CyberGhost VPN. Ultrasurf is made by Ultrareach Internet Corp. which was founded in 2001. They launched this application in 2002; Ultrasurf is one of the best Pro privacy, freedom and anti-censorship software. Ultrareach also offers UltraProxy to unblock geographically restricted content and censored websites. Millions of users from more than 180 countries use UltraSurf to protect their online privacy. You just have to download its client and install on your PC to take benefits. Right now, it’s available only for Windows OS and Mac users can’t be able to use it directly. However, with the help of Google Chrome extension, you can take the same benefits. On the other hand, you can use other VPN’s mentioned in this list. Keep in mind, UltraSurf keeps a log of your online activities for 30 days to improve their service. And the basic purpose of collecting this info is just for anti-blocking purpose as they mentioned on their website. If you can’t compromise on security, even for internal usage, then consider premium VPN providers. AlwaysVPN required registration for taking benefits from their service, so you have to sign up first. AlwaysVPN is very simple to use. They offer different bandwidth packages to their users, and it’s a prepaid service (No free plan). For using AlwaysVPN services, you need to “sign in” into your AlwaysVPN account, purchase bandwidth and use it until your bandwidth ends up. You can access US based services such as Hulu, ABC, and others which are geo-location based or available only in the USA. It software clients can be used on Windows XP, Windows Vista, Windows 7, Linux, and Mac. PrivateTunnel is one more free and top VPN in the list of alternatives of Hotspot Shield. OpenVPN backs PrivateTunnel, OpenVPN released their initial version in April 2002. It is available for PC, Mac, Android, iPhone/iPad platforms. Their servers are located in Canada, US, UK, Switzerland, and Netherland. 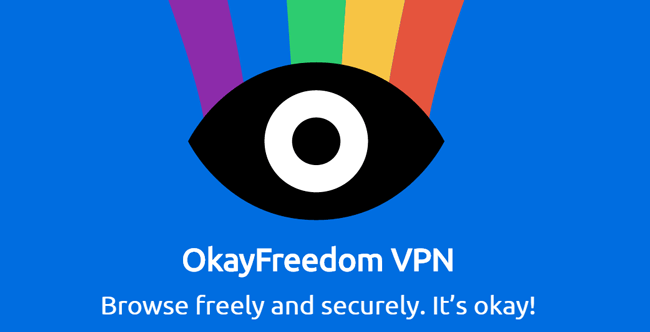 This VPN protects you with strong encryption and authentication. It protects your security, privacy, and accessibility using 128-bit AES-GCM encryption protocol. PrivateTunnel also a convenient and reliable software similar to Cyberghost. With over 50 million downloads so far, it shields the users against IP address leak, encrypts online activities, browsing traffic, and also avoid DDoS attacks. The company has 12 worldwide server locations which can be chosen to connect virtually. When enabled, you can surf more securely and anonymously with OkayFreedom. Their servers are located in more than 12 different countries like Japan, Germany, and the USA, Switzerland, France, Spain, and Japan, etc. They have VPN coverage of 19 countries, all you have to do is select a specific country name before connecting to the VPN network. But unluckily per/month bandwidth is too small for a free user, only 500MB/Month. However, paid subscription caps no monthly bandwidth and concede everything unlimited. Premium membership can be purchased via Paypal, Visa Card, Wire Transfer, and Master Card, etc. SecurityKiss is a smart and simple VPN alternative of Hotspot Shield introduced by Security Kiss Ltd. SecurityKiss use 1024-bit encryption for protecting your internet connection, personal information, and IP address. As there are 100+ servers using which you can surf through virtual locations anonymously. You can access any banned site through this software easily as a free user but allowed to use 5~10 servers. As a free user, you’re also limited to 300MB data usage per day which is definitely very small. SecurityKiss software is available for Windows, iOS, Android, Linux, and all major platforms. Paid plans start from $3.49/month to $11.9/month with different features. ProXPN is a free, easy to use, and encrypted VPN provider which can be utilized for accessing censored sites and as a Hotspot Shield alternative. Servers of ProXPN are located in Singapore, London, New York City, Dallas, Los Angeles, Seattle, and Amsterdam. 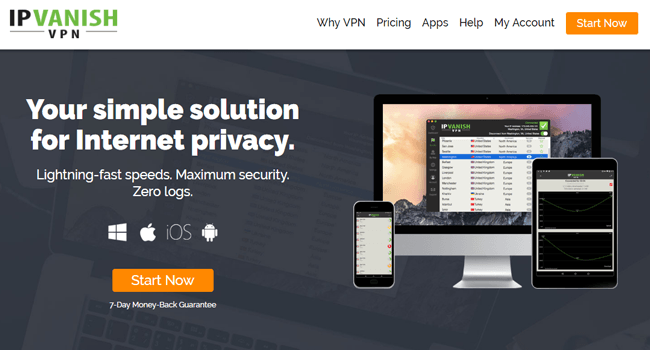 This VPN supports almost all the major platforms like Windows, Android, iMac, etc. ProXPN anonymize your real IP address and mask it with their secured IP address to enhance online privacy. As a free client, you’re limited to 300Kbps speed, but this limit isn’t for premium accounts as well as you are allowed to use it on iOS and Android devices. Paid users also can download torrents, get priority customer support, access to global VPN servers, and PPTP connectivity. OpenVPN and Lifetime free subscription etc. TorVPN is a free Hotspot Shield competitor featured with OpenVPN, SSH servers, PPTP protocol, Socks Proxy and Advanced control panel which enable you to surf the securely, fastly, and anonymously. They offer 2 GB bandwidth per month to free members. The price of bandwidth packages are reasonable; you can buy 5GB to 100GB/month bandwidth at the cost of 0.50 to 2.4 Euro per month. You can buy bandwidth packages via many payment systems. They accept Paypal, Payza, Bitcoins, CashU, Visa, American Express, MasterCard and Discover Network. Conclusion: Which is the “Best” Hotspot Shield Alternative? So, these are top alternatives to overcome ISP restrictions, open banned websites, and country-restricted contents. You can use these services for accessing required stuff and I hope you’ll surely get an excellent experience. If you know any other best VPN provider which is not listed here then comment below, I will update this article shortly. Do let me know which alternative to Hotspot Shield you’re using for accessing restricted sites. I would like to suggest NordVPN, TunnelBear, and IPVanish. These all are the top class VPNs out there for military-grade protection and outstanding speeds. Now it’s your turn to pick the most suitable and appropriate Hotspot Shield alternative to access blocked sites? If you like this article, please don’t hesitate to share in your social circle and friends.